Today, cyber security is at the top of everyone’s minds. Whether it is securing business assets, protecting customer data, or keeping viruses off of your personal computer, our connected world has introduced us to threats many feel ill-equipped to manage. That has led to a higher demand for information technology professionals focused on providing the security we need. Cyber security involves the defense and protection of various networks and information systems. A subset of the larger information technology field, cyber security professionals align their technical skills with those needed to maintain a safe computing environment through the creation, installation, and maintenance of critical software, and the analysis of intrusion data. Cyber security professionals must act in response to detected threats to help minimize any damage. During emergency situations, the job can be somewhat high-stress, but it is necessary for the safety of information within businesses, government agencies, and non-profit organizations. Professionals working in the cyber security field can find employment with a variety of workplaces. Retail businesses, financial institution, government entities, and educational institutions all require these skills to help keep their operations running and to prevent data from being compromised. Currently, businesses are finding it challenging to locate the IT specialists they need. This means that working in the area of cybersecurity is likely to offer both job security as well as advancement opportunities. Admission into a Bachelor’s degree program traditionally starts with the acquisition of your high school diploma or its equivalent. You can apply to schools before officially receiving your diploma, but your ultimate acceptance is contingent on your successful completion of you high school education. Schools may also have GPA requirements for approval. To best prepare for your college studies, it is wise to take any additional computer courses that may be available to you while in high school. Additionally, you can also benefit from more advanced mathematics experience. However, a Bachelor’s degree requires certain core requirements to be met as well. This means that you will need a strong foundation in English, history, and science. Individual educational institutions may have additional minimum requirements regarding the number of credits you received in particular subjects, or a minimum standard for the level of class taken, even for graduating high school students. If you do not meet the minimums, you may have to take extra courses during your degree plan before you can work on achieving the requirements. Some institutions only offer the cyber security program for students in their final two years of study. That means you may need to attend a different college or university for the first few years before transferring into the program. Often, obtaining an Associate’s degree in a related discipline, such as computer science, is sufficient for entrance into programs such as these. Additionally, some schools will require SAT or ACT scores be provided during the admissions process. If you have not currently taken one of those two exams, you should consider scheduling one as soon as possible. Commonly, high school students take the SAT or ACT at the completion of their junior year. This provides ample time for scores to be received before beginning college applications. Students who are entering a cyber security program after having received an Associate’s degree elsewhere may not be required to supply these scores. Instead, their college GPA may be given more consideration. Since cybersecurity focuses on computer and networking systems, a thorough understanding of core components and software functions can provide you with an advantage when pursuing your degree. Knowledge of scripting is helpful, as well as the tools required to perform vulnerability assessments. Necessary soft skills for working in the cyber security field include attention to detail and organizational skills. Analytical skills are highly coveted, as performing a detailed analysis is common in intrusion detection. You may need to work in high-pressure situations as many occur when managing an active attack or intrusion attempt, so a calm demeanor can be helpful. Additionally, critical thinking and problem-solving skills will help you solve issues as they arise. As with most IT positions, working in cyber security often requires a person to sit for extended periods of time. The majority of your job will be performed on a computer, so an understanding of workplace ergonomics is also useful for limiting repetitive motion injuries. Your career in the field of cyber security begins with the completion of your high school diploma or its equivalent. Once you have been accepted to an appropriate program, you will need to make sure your financial aid or other payment mechanisms are in place to manage the cost of your education. While applying to the cyber security programs, you will likely need to complete financial aid applications. Most institutions require the completion of the Free Application for Federal Student Aid (FAFSA). The FAFSA determines your eligibility for a variety of government-sponsored awards, such as the Pell Grant and federal student loans. All educational institutions capable of receiving federal financial aid as a form of payment will need the results of your FAFSA forwarded to their financial aid department. Schools do not have the ability to make determinations for federal financial aid unless you qualify through your FAFSA first. Beyond federal aid, students may also be eligible for a range of institutional scholarships. These are offered directly by the college or university, and can only be awarded to students planning to attend courses at one of their associated institutions. Scholarship offerings may be need-based or merit-based. Some schools use the data from your FAFSA to determine eligibility. Others may need to review your high school or prior college transcriptions. It is also commonly required that you complete additional applications for consideration for these awards. If you do not qualify for financial aid, or the amount award is not sufficient for meeting your full debt obligation, you can look at other options. For example, you may be able to acquire private student loans from different financial institutions. Some colleges also offer students an in-house payment plan. It is also an option to pay for classes in cash. Deadlines for completing your payments are set by the individual institution. For additional information, you will need to work with the schools directly. Class schedules are determined at the sole discretion of the school offering the program. Most colleges and universities offer a broad range of daytime courses. Evening and weekend classes may also be available, though this is not always the case. If you are looking for opportunities outside of the traditional daytime format, research each schools offering before you decide to attend. Since the majority of the information covered in a cyber security degree is computer based, this degree lends itself to being a reliable option for anyone looking for an online degree. Not only can you complete classwork from almost any location, you typically have additional flexibility regarding the timing of your coursework. For example, online programs may have assignments due by specific deadlines, but may offer options regarding what time you can participate or on which days. This may be ideal for those currently working, especially if they already have a strong background in computer operation. To complete a Bachelor’s degree, you will need to meet all of the core educational requirements as well as those associated with your chosen major. Traditionally, a Bachelor’s degree is considered a four-year program, though the actual time to completion may vary slightly. Online schools may offer accelerated learning options, while campuses may provide students with the opportunity to take heavier course loads. This allows the program to be completed at a quicker rate. Students who are only able to take night or weekend courses may require more than four years to finish the program. This can be due to the limited number of evening and weekend classes being offered at any one time which can make it difficult to maintain a full-time class schedule. Most cyber security degree will focus on the same topics for learning about the field. Classes include information on a variety of programming languages as well as application and software development strategies. Information on the principles of networking and data communication are covered, with a particular emphasis on security and information assurance. 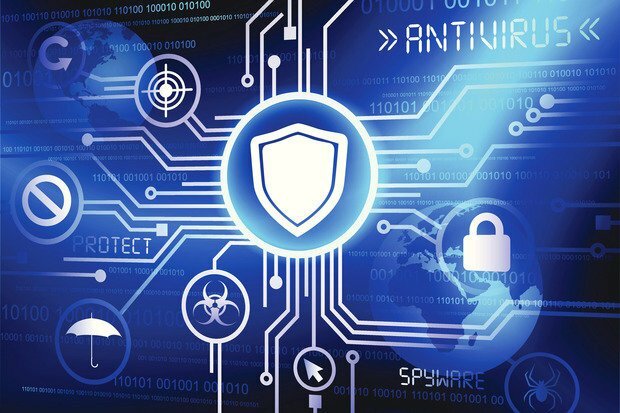 To provide a well-rounded education, many universities include courses designed to explore the human fact relating to cyber security, as well as concerns regarding applicable law and ethics. Some university programs include the completion of an internship as a graduation requirement. This allows students to receive real-world experience in a hands-on environment. Not only can you apply the skills you have learned in a practical way, but you also gain valuable experience working as part of a functioning cyber security team. If you are interested in specializing in the cyber security field, you may have the opportunity to focus on key areas such as network forensics, intrusion detection and investigation, information assurance, cybercrime, fraud investigations, cyber operations, homeland security, and emergency management. The information technology field, including cyber security, is expected to see growth at a much faster rate than average. As news of more sophisticated cyber attacks continues to spread, the demand may even increase beyond what was initially anticipated. Concerns about privacy and data integrity are part of the business landscape, so more companies will require professionals to provide the level of security they feel is necessary to calm concerns by customers and stakeholders alike. Federal, state and local governments also have a great need for security professionals. Issues of national security are a constant concern. This includes the securing of government agency data as well as protection of critical pieces of IT infrastructure that maintain a variety of necessary government operations. Between the year 2014 and 2024, it is estimated that growth may reach 18 percent. Currently, there is a shortage of talent in IT. This makes it an excellent choice for individuals looking for career options focused on IT and cyber security as the shortage is expected to continue. Most cyber security professionals work in office environments and commonly operate as part of a larger IT team. Due to the prevalence of critical computer-based systems in a wide range of industries, employment opportunities can be found in support of most business, non-profits, and government organizations. Generally, the work of a cybersecurity professional is low risk. The most common injuries are related to repetitive motion based on the frequent use of computers. However, the work can be high stress during times of an emergency. Moderate lifting may be required but is not common. Salary offerings for skilled cyber security professionals reach a median annual wage of over $90,000 in 2015. Entry-level positions are commonly above $50,000 per year, while the top 10 percent of people working in the field see wages above $ 140,000 annually. As is traditional with most full-time employment, a comprehensive benefits package including medical, dental, vision and life insurance is standard. You will also find retirement options in most cases and may be offered educational incentives. Paid time off is also available. Some employers are offering additional benefits to attract the best talent. This can range from on-site child care to stock incentives. Information technology is a growing field. That means the opportunity to advance as you gain experience is common. You may be able to receive promotions through your current employer or pursue new options elsewhere. Additionally, those who work well in the field may be able to transition into management positions. To accelerate your career, you can pursue professional certifications designed to support your Bachelor’s degree and occupational goals. For example, CompTIA, Microsoft, and Cisco certifications can all help you find new employment in the field. Additionally, those looking at leadership positions in the field may wish to pursue a Master’s degree. A Master’s of Business Administration with a focus on information systems can provide new opportunities, and traditionally takes an additional two years beyond the undergraduate level to complete.